The school caters to students from migrant families who moved to Malaysia, often illegally, with little to no access to education. "Designing for the poor shouldn't equate to poor design." 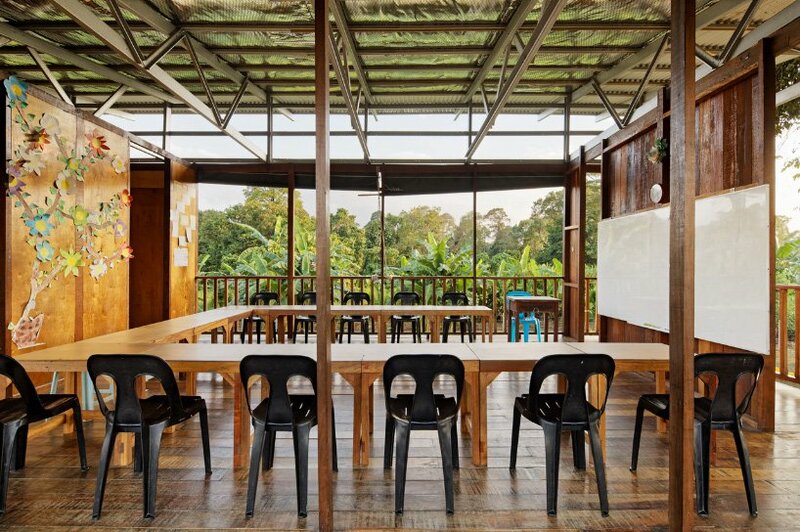 This was what architect Robert Verrijt thought when dreaming up Etania Green School, a proof-of-concept, scalable prototype built for stateless children in Sabah. Dutch-born Verrjit, who is chief design officer of NGO billionbricks said that, "There's a mindset among some who work with the marginalised, that these people should just be happy with what they're given – no questions asked." 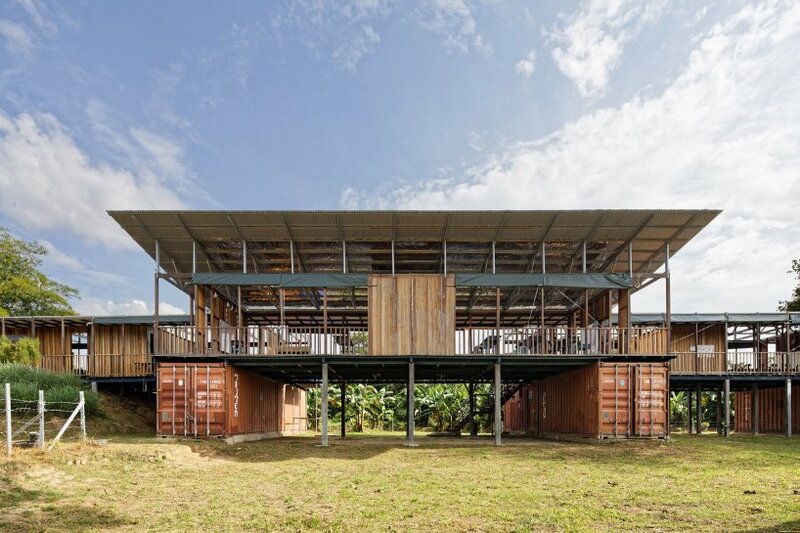 However, the forces behind Etania Green School felt that children needed quality education regardless of their socioeconomic background, and that campus design plays a crucial role in achieving this, Design Boom reported. 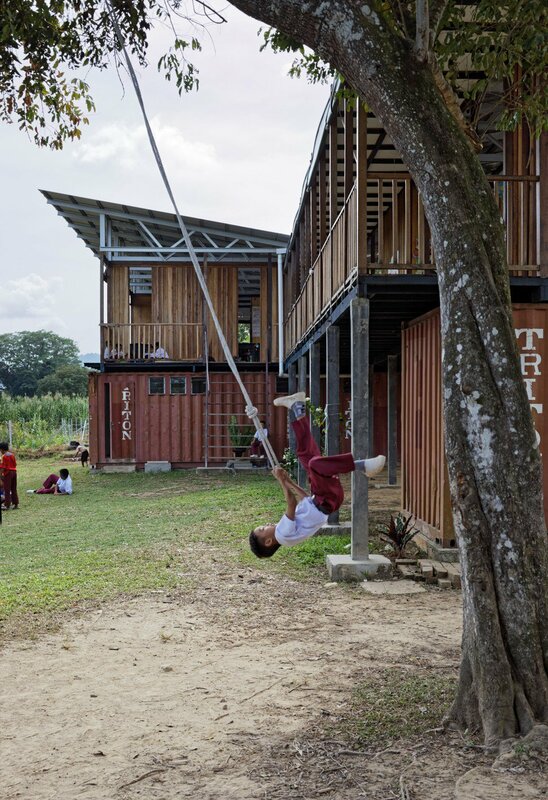 The school is designed for 350 children, between the ages of five to 13, and caters to students from migrant families who moved to Malaysia, often illegally, with little to no access to education. The school, which was officially opened in January, is the first of 30 to be opened in the state. 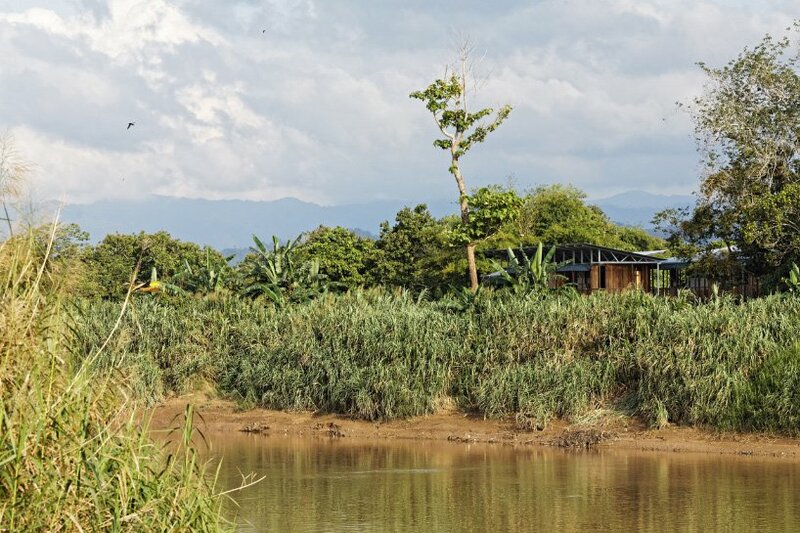 Five decommissioned shipping containers and an artificially created mound from soil excavated for a water harvesting pond support the classrooms. To optimise space, the containers themselves the containers themselves are used for storage and washroom facilities. 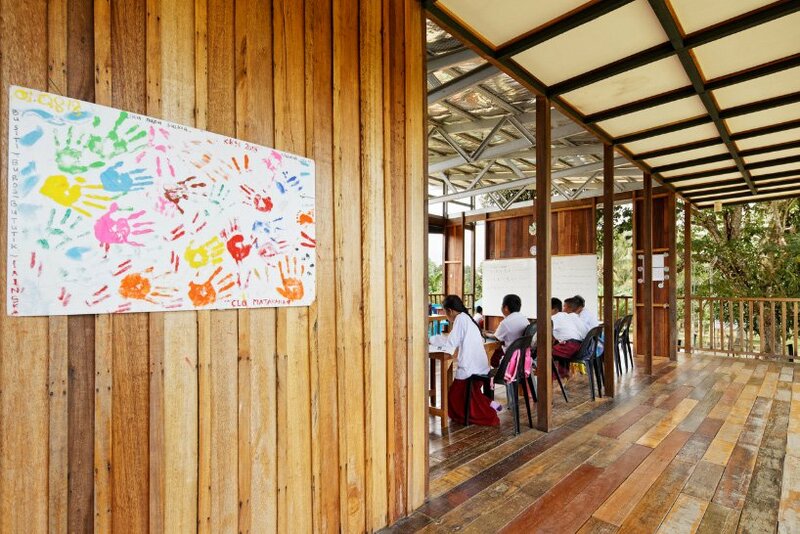 The layout of the school comprises of a long veranda leading to various open learning spaces and connecting smaller classrooms, South China Morning Post reported. Students can access the school via a staircase, two ladders, or a mound made of dirt excavated from the site. 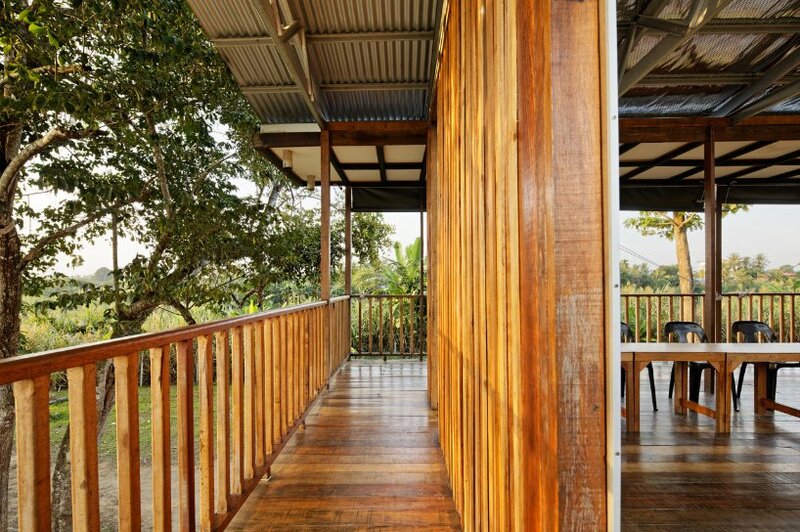 To minimise heat gain from the sun and to capture an air draft from the river, the classrooms are oriented in an east-west direction. 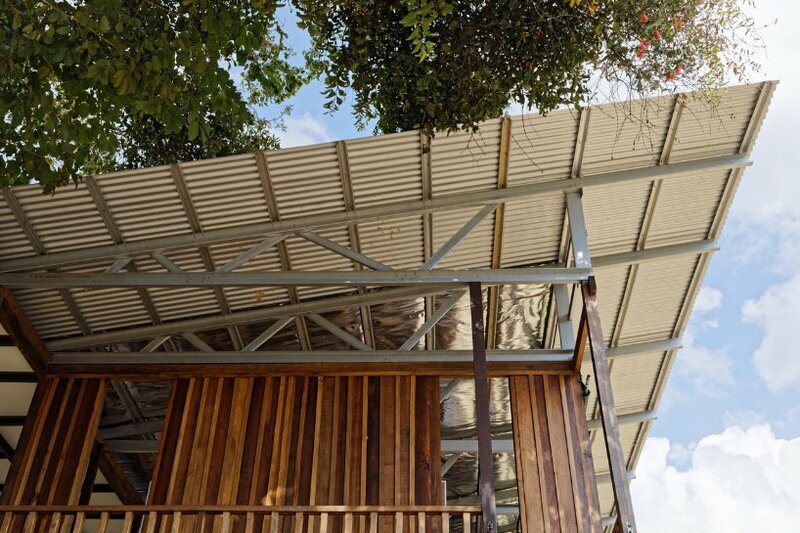 Solar panels provide the electricity while the galvaenised iron roof, which was gifted to the project, catches enough rain for all water needs. While this accolade was welcomed, Verrijt said that it was not the goal. 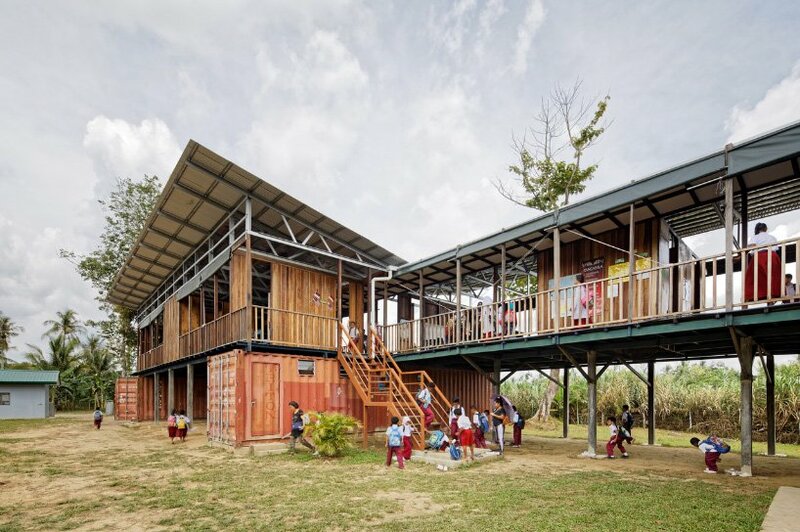 "Apart from designing functionally, and using materials that are sustainable, the result can also be seen in the pride that these children take in their school," said Verrijt. 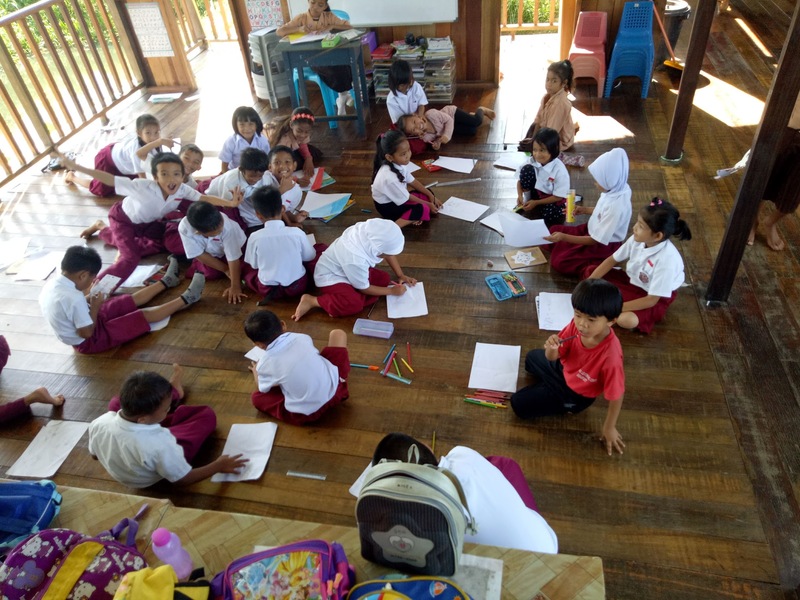 "It's breezy, it's by the river, you look out onto greenery – and you have this beautifully designed building, which follows the cultural aesthetic of Sabah, of which the children are so proud," said the school's co-founders are Dr Kathryn Rivai. On the importance of donors contributing towards schools, billionBricks' co-founder Prasoon Kumar said, "They say that if you invest in teachers, rather than a building, children can learn under a banyan tree. But we believe everyone should be treated equally." "We would not send our children to a school that is run under a tree," he added, according to Design Boom. Nazri Noor, who is based in California, wrote the 'Darkling Mage' series.